A great selection of one-off shamanic instruments - a chance to pick up something REALLY special! The smallest of three sizes - a plain goat/sheepskin (NB - we do NOT know or guarantee what species), painted with the symbol of your choice - listed here are a few previous designs - email us to discuss. Simple geometric designs such as pentacles or Awen symbols, etc will be at the fixed price - Nature scenes take me longer to paint - I will give you a firm quote for your idea! We are now taking commissions for these drums. More pictures to follow shortly. ANY theme. 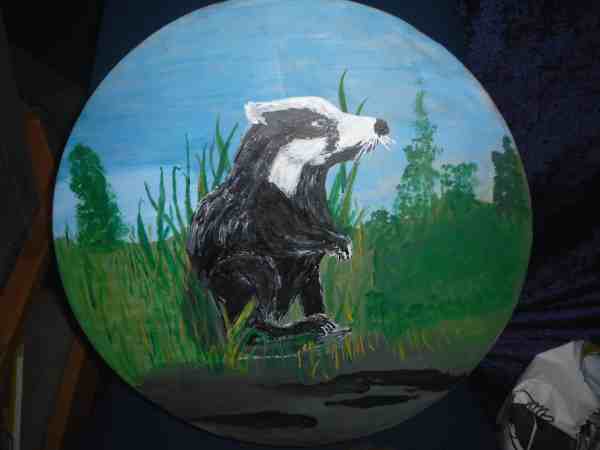 To date we have been asked to paint pentacles, gods & goddesses, green men, Baphomets, badgers, ravens, deer and many other spiritual representations. 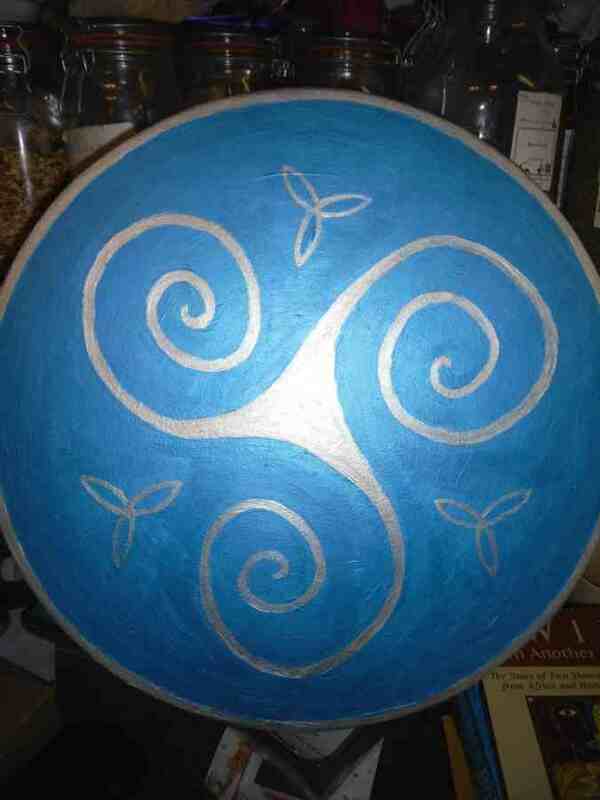 The drum is prepared and painted in long-lasting acrylics and sealed for regular playing. Enquire for details - most images will be a fixed price unless the work required necessitates more hours at the easel! A branch of the witches' tree helped to create this unique Celtic instrument - the maker has hollowed out the twin chambers BY HAND to produce a wistful yet powerful tone. These are very special and they take longer to make than machined ones. This one will not last long - enquire for current stock! This is modelled after the Native American style, but has a unique Celtic feel to it - ideal for shamanic work in whatever path.